Magyar Nemzet (Hungarian Nation) appeared in print and online for the last time today. An earlier newspaper by that name was founded in 1899 by the liberal author and politician Mór Jókai through the merger of Nemzet and Magyar Újság. That newspaper closed in 1913. 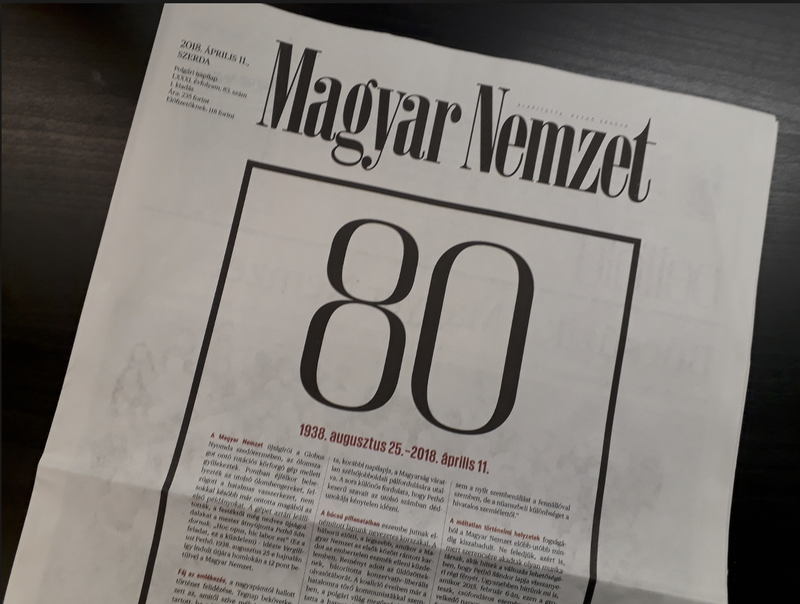 The Magyar Nemzet appearing in print and online for the last time today was founded in August 1938 by Sándor Pethő and Gyula Hegedűs as a right-wing publication opposed to the increasingly national-socialist editorial slant of Magyárság, the newspaper for which the two had previously worked. Suspended on various occasions under the Horthy regime (Regent of Hungary, 1920-1944), the self-professed right-wing daily newspaper of record was closed down by the Gestapo in March 1944, but resumed publication on May 1st, 1945. Renamed Hazafias Népfront (Patriotic People’s Front) in 1954, the newspaper was cautiously critical of the policies of the one-party state, and played an important role in bringing about the system change of 1989. Acquired by state-owned Postbank in 1996, the daily was “merged” with the right-wing Napi Magyarország in 2000 during the first Orbán government to the dismay of the former’s liberal readers. For the next fifteen years the Magyar Nemzet served as an integral part of the Fidesz propaganda machine, only returning to the path of responsible journalism after its publisher’s owner, Lajos Simicska, fell out with Viktor Orbán in February 2015. The Budapest Beacon thanks the current editorial staff of Magyar Nemzet for the reasonably objective, fact-based reporting of the past three years, and wishes them luck with their future endeavors.